I'm off this weekend to watch a bit of the Olympics, so won't have time to post my usual weekly update (instead, I'll do a double edition on Sunday week). 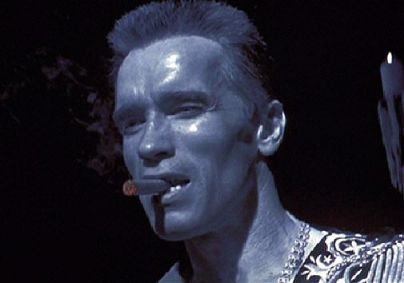 To keep things ticking over, and to mark the upcoming release of the (probably terrible) remake of Total Recall I thought I'd put together a quick list of Arnold Schwarzenegger's best one liners. Back in his prime, when he was content with merely taking out swathes of faceless goons on screen rather than governing California, Arnie could always be counted upon to deliver a few laughs along with a generous helping of mindless violence. 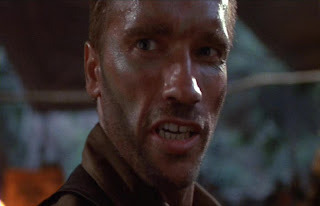 It got to the point where he couldn't dispatch a bad guy without serving up a comical put down, delivered in an Austrian drawl. 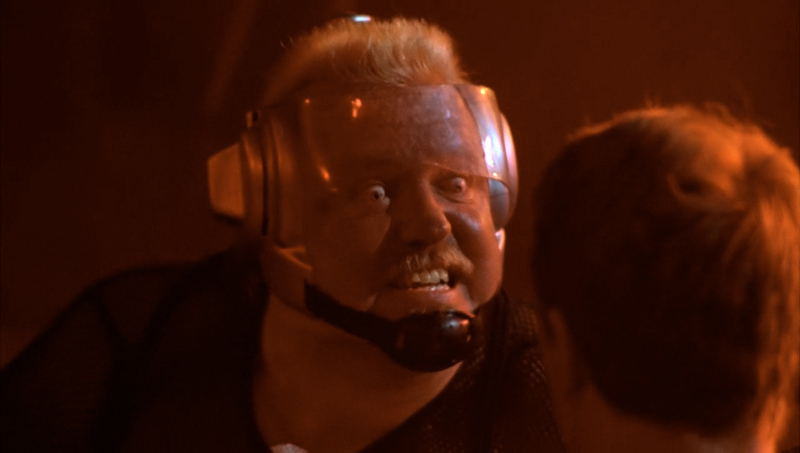 This trend reached it's pinnacle with his awesome(ly bad) performance in Batman and Robin, where pretty much every word out of his mouth was a cheesy pun of some description. 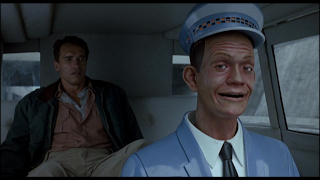 The Set Up: Douglas Quaid (Arnie) has just commandeered the wheel of a futuristic taxi, driven by an incredibly irritating autopilot (Johnnycab). 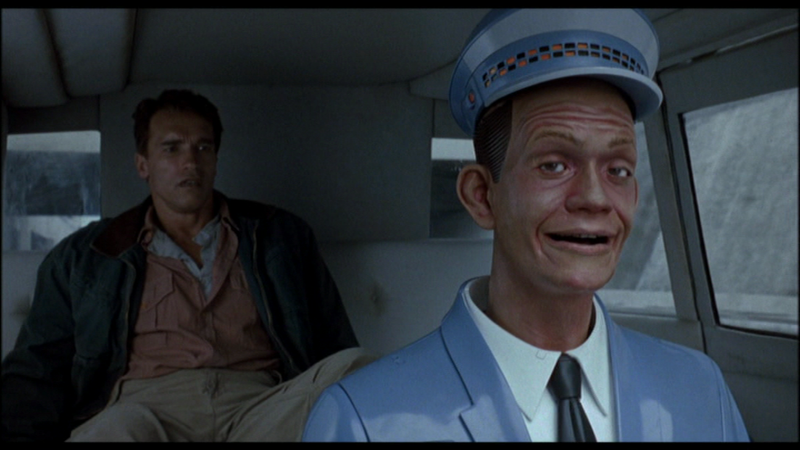 Johnnycab has the cheek to ask Quaid for his taxi fare. The Line: "Sue me, dickhead!" The Set Up: In the evil gladiatorial games of the future, Ben Richards (Arnie) is fighting for his life on live TV. Along the way, Richards cuts one of his pursuers in half with his own chainsaw. The Line: "He had to split!" 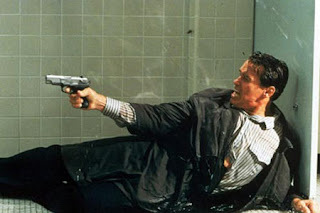 The Set Up: As one of the finest dramatic actors of his generation, it was inevitable that Arnie would get the chance to play the Dane at some point in his career. Here is his interpretation of Hamlet's most famous scene. The Line: "To be or not to be? Not to be!" The Set Up: Arnie nails a guy to the wall with a knife. What more can I say?